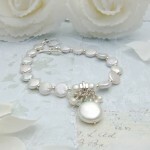 A beautiful freshwater coin pearl and aquamarine gemstone bracelet. 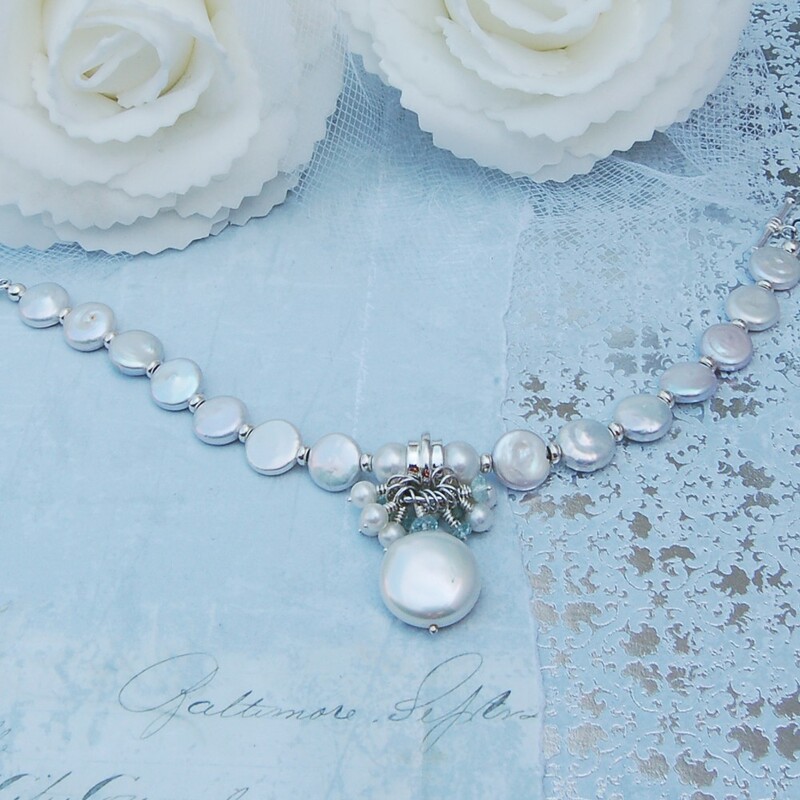 A wonderfully unique pearl necklace from IndiviJewels that oozes elegance and made for all occasions. 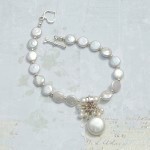 For those of you who like your pearl jewellery this bracelet will be a welcome addition to your jewellery box. 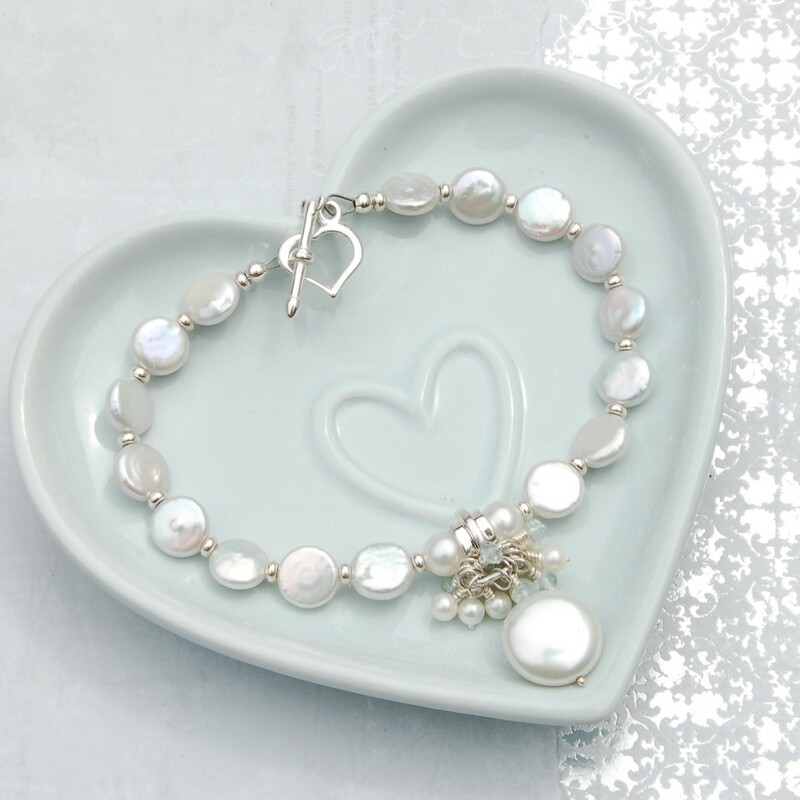 A luscious collection of iridescent pearls and sparkling aquamarine gemstones make this a very desirable bracelet. 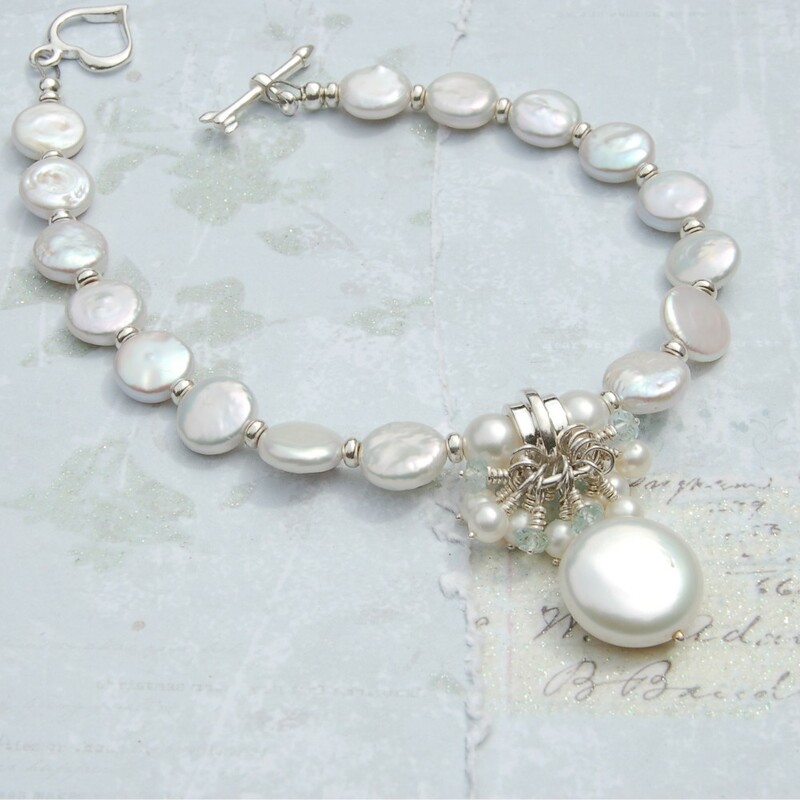 Firstly we have a huge 14mm coin pearl hanging from a stylish sterling silver charm holder and nestling in between them is a charming collection of 3-4 mm freshwater round pearls and 3mm aquamarine faceted rondelles to make a standout center piece. The bracelet is finished off with cute 8-9mm coin pearls with sterling silver spacers in between those to give it a more sophisticated look. IndiviJewels designs and makes all its own work so if you would like something a little different then just contact us and we will see what we can do for you. Components used in the design of this bracelet are freshwater coin pearls, Freshwater round pearls, AA aquamarine gemstone rondelles and all silver is sterling. The big coin pearl is 14mm, The smaller coin pearls measure 8-9mm. 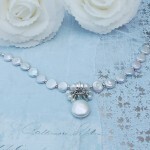 The small round pearls are 3-4mm and the aquamarine gemstone rondelles are 3mm.